SINGLE BOOTH SPACE $1995.00 PLUS TAX. IF NOT STAYING IN CONFERENCE HOTELS, MEAL PLAN MUST ALSO BE PURCHASED. The Exhibitor Portal will allow you to build a profile for your copany allowing hte attendees to see who will be coming, and what products and/or information you will be presenting! Make sure you save your information each time you add or aamend the information tha tyou are putting in! GENERAL RULES: Each company participating at the show (each an “Exhibitor”) must return all copies of this contract, properly executed by an authorized company representative. Contracts must be received with full payment in order to reserve space. Every effort will be made to respect exhibitor’s space requirements whenever possible. However the NICHC Conference (from here on referred to as Show Management) reserves the right to rearrange the floor plan or to relocate exhibits when such action is deemed to be in the best interest of the total exhibit. USE OF SPACE: No Exhibitor shall assign, sublet or share the space allotted them unless prior written consent of Show Management has been obtained. Exhibitions must advertise only goods manufactured or dealt in by them on the regular course of business. Only firms or organizations as-signed exhibit space may solicit business within the exhibit area. THERE IS NO CANNIBIS ALLOWED AT THE EVENT. Booths or display structures must be self-supporting, and not anchored to walls or floors. Displays and booth structures must not extend into the aisle in such a way as to obstruct traffic. Exhibits must comply with standard booth design regulations including height and sound restrictions and not impair visibility of adjacent booths. Height restrictions are as follows: linear booths no taller than eight (8) ft., island and split island booths no taller than sixteen (16) ft. in height. Display material exposing an unfinished surface to neighbouring booths is not permitted and must be finished at the exhibitor’s expense. Demonstrations must be located such that crowds collected will be within the exhibitor’s space and not blocking an aisle or neighbouring exhibits. No end-capping is permitted. The exhibitor assumes all responsibility for compliance with all pertinent ordinances, regulations and codes of local, provincial and federal governing bodies concerning fire, safety and health, together with the rules and regulations of the operators and/or owners of the property wherein the exhibit is held. All hazardous items must be properly safeguarded, protected, registered and/or avoided as deemed necessary by Show Management. Show Management reserves the right to restrict exhibits which are objectionable because of noise, method of operation, materials or for any other reason; and also to prohibit or to evict for any reason with or without giving cause, any exhibit which in the opinion of the management may detract from the general character of the exhibit as a whole. In the event of such restriction or eviction, Show Management shall not be liable for any refunds or other exhibit expenses. No machinery is to be turned on during show hours. UNDESIRABLE ACTIVITIES: If Show Management decides Exhibitor is engaged in activities, or is displaying any items (products or services) contrary to the best interests of the Conference, or which appear to be unethical or a breach of law, at Show Management’s sole discretion, Show Management may rearrange or remove such articles or cancel entirely any allocation of space, without liability for refund or abate the exhibit space charge paid or due hereunder, and without liability for any other damages caused by such action. Infractions of the spirit of these terms, rules, and regulations by a current or potential Exhibitor may be considered whether or not to accept an application from such Exhibitor seeking to exhibit at any future silver Shows / NICHC event. COMPLIANCE WITH LAWS: The Exhibitor shall at all times comply with all federal, provincial and local laws, ordinances, regulations, and others that are applicable to the operation of its business, its exhibition and this Agreement. Without limiting the generality of the foregoing, the Exhibitor shall at all times, at its own expense, obtain and maintain all certifications, credentials, authorizations, licenses, and permits necessary to conduct that portion of its business relating to its exhibition. LIABILITY/INDEMNITY/INSURANCE REQUIREMENTS: The Exhibitor hereby agrees to indemnify and hold harmless Show Management, Oakland Marriott City Center employees or agents, for any injury, loss or damage, expense actions, claims and damages, including, without limitation, reasonable attorney’s fees, arising out or caused by (i) the Exhibitor’s installation, construction, removal or maintenance of its exhibit, the Exhibitor’s occupancy or use of the Exhibition premises or any part thereof or as otherwise caused by the Exhibitor, its agents, representatives, invitees or guests, and (ii) the Exhibitor’s breach of this Agreement or any representation, warranty or covenant hereunder. The Exhibitor agrees to waive all rights of subrogation against Show Management, its officers, directors and employees. The exhibitor agrees to pay promptly for any and all damage to the exhibition building or its equipment incurred through carelessness or otherwise caused by the exhibitor, his employees, agents or representatives. The Exhibitor hereby RELEASES, ACQUITS and FOREVER DISCHARGES and COVENANTS NOT TO SUE Show Management, the Hotel nor any of their respective current or former officers, directors, authorized agents or staff, representatives, and their respective subsidiaries, heirs, successors or assigns (collectively “Released Parties”) from any and all claims, causes or action, suits and/or demands for personal injury, death, or loss or damage to property, accrued or to accrue in the future, known or unknown (collectively, EXHIBIT TERMS AND CONDITIONS National Indigenous Cannabis & Hemp Conference EXHIBIT TERMS AND CONDITIONS / Gery Eagle Event Centre, Grey Eagle Resort & Casino “Claims”) relating to or arising out of any negligent, grossly negligent, strict liability and/or intentional or unintentional acts on the part of the Exhibitor’s participation in the trade show. Without limiting the foregoing, the Exhibitor agrees that the Released Parties shall not be liable to them, their family, heirs, administrators, executors, successors, or assigns for Claims arising from or related to Exhibitor’s participation in the trade show. Exhibitor assumes full responsibility and liability for the actions of itself and its agents, employees, independent contractors and representatives, whether acting within or beyond the scope of their employment, and agrees to indemnify, hold harmless, defend, and pay all expenses as they are incurred, Show Management, and the Hotel and each of their respective employees, officers, directors, and agents from responsibility or liability which arises because of the acts or omission of its agents, employees, independent contractors or representatives whether acting within or without the scope of their authority Show Management does not maintain insurance covering Exhibitor’s property. Show Management cannot be responsible for Exhibitor’s merchandise or display. Exhibitors are therefore required to carry special insurance to cover exhibit material against damage and loss, and public liability insurance against injury to the person and property of others. Show Management does not insure against competitive firms from becoming neighbouring exhibitors; nor is it responsible for errors or omissions in the Show Program or Exhibitor List. All Exhibitors shall obtain, at its own expense, adequate insurance, but in no event less than a $1 million of comprehensive general liability insurance from an “A” rated carrier, including the so-called “broad form endorsement.” Such insurance shall name Silver Shows. 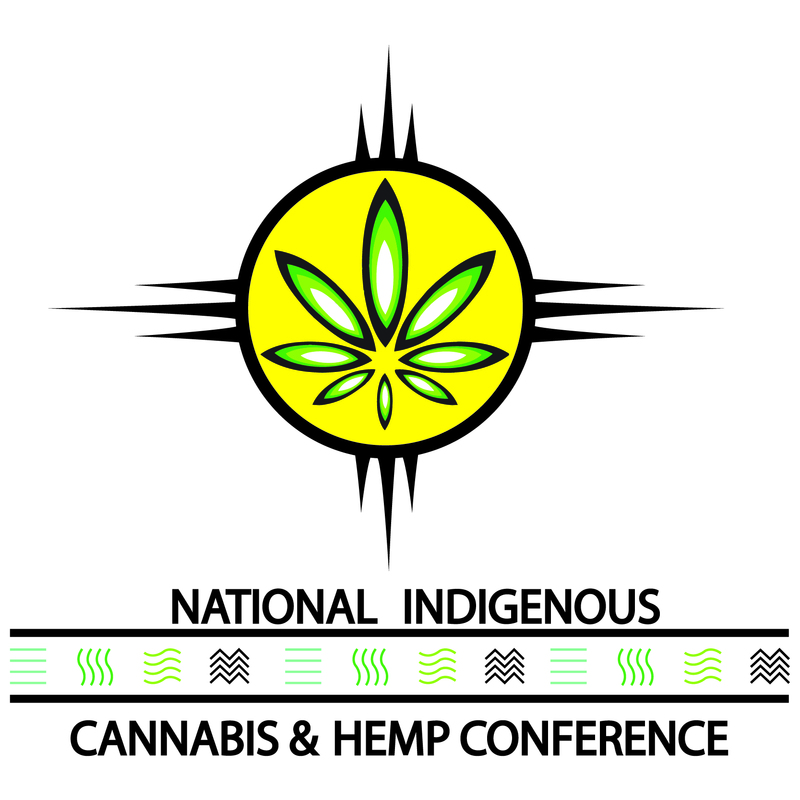 National Indigenous Cannabis & Hemp Conference, and its officers, directors and employees as additional insured parties. The Exhibitor shall furnish a certificate of insurance on request to Silver Shows prior to the event. Although security personnel will be provided by Show Management, Show Management shall have no liability whatsoever for theft, loss or damage to property belonging to any Exhibitor, the Exhibitor’s agent, employees, business invitees, visitors or guests. CANCELLATION OR TERMINATION OF CONFERENCE: In case Show Management shall for any reason determine to cancel or terminate the exposition, the exhibitor waives all claims against Show Management for damages or expenses and agrees to accept, in complete satisfaction and discharge of all claims against Show Management, a refund of all amounts paid by the Exhibitor to Show Management in accordance with this agreement. PAYMENT: Full payment for total cost of booth space is required with this application. Exhibit space cannot be guaranteed until payment is received. INSTALLATION AND DISMANTLING OF EXHIBITS: One day is provided for the installation of display materials in the exhibit hall at the Hotel: Sunday, November 18, 2018, starting at 12:00 noon. Exhibitors must be completely set up and ready for viewing at 8:30 a.m. on Monday, November 19, 2018. Move-out will begin on Tuesday, November 20, at 5:00 p.m. NO DISMANTLING WILL BE PERMITTED BEFORE CLOSING TIME. Companies disregarding this regulation might be subject to being denied booth space for future shows. Times subject to change at Show Management discretion. It is explicitly agreed by the Exhibitor that in the event the Exhibitor fails to install displays or products in the assigned exhibit space or fails to pay the space rental in full at the time specified by this Agreement, Show Management shall have the right to take possession of said space and lease same or any part thereof to such parties and upon such terms and conditions as it may deem proper. All Exhibitor materials must be removed from the hall no later than 7:00 p.m. Tuesday, November 20, 2018, or Show Management at the Exhibitor’s expense will remove them. EXHIBIT PERSONNEL: All staff affiliated with exhibits must be registered and must be bona fide employees of the exhibitor or representatives who receive commission, brokerage or salary from the Exhibitor. CANCELLATION: In the event of cancellation by the Exhibitor, Show Management shall access a cancellation fee covering the reassignment of space, prior service performed, and other damages related to cancellation as follows: Show Management must receive written notification of the cancellation by E-mail and by telephone to 403-294-0977. Email date stamps of cancellation notice will determine date for purposes of compliance with refund schedule. In the event of either full or partial cancellation of space by an exhibitor, Show Management reserves the right to reassign cancelled booth space, regardless of the cancellation assessment. Subsequent reassignment of cancelled space does not relieve the cancelling exhibitor of the obligation to pay the cancellation assessment. MANAGEMENT RIGHTS: Show Management reserves the right to interpret, amend and enforce these regulations as it deems proper to assure success of the exposition.